The Ossur OAsys® Carticare Knee Brace is a double upright brace that provides medial or lateral compartment unloading for the relief of osteoarthritis knee pain, plus functional support for patients with ligament instability. The OAsys® Carticare (OA system) features a unique Acculign™ slide bar for adjusting the amount of varus or valgus correction needed to relieve pain. Further enhancements such as silicone condyle pads, breathable liners and quick release style buckles help ensure a higher level of brace comfort for OA sufferers. OAsys Carticare comes standard withAccutrac® ROM hinges control range of motion for cartilage post-op healing, long-term rehab [>4weeks] protocols requiring unloading, and/or adjustable flexion/extension hinge control protecting the knee. 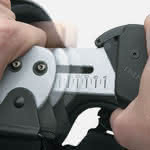 Unloads the medial OR lateral compartment by using its Acculign hinge slide bar. 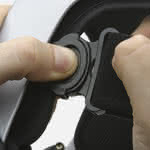 Quick-release buckles for easy application. Provides Post-op, rehab and functional support. Provides unloading for protocols requiring reduced medial or lateral joint loads during recovery. Exclusive Gel Fit condyle pads provide joint line comfort. Low profile fit provides improved comfort for larger legs. Dual-hinge design provides arthritis support and prevents brace from rotating on the leg. OASys Carticare uses non-corrosive materials, ideal for use in water as well. 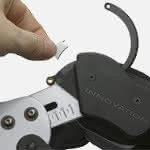 Pivoting, quick-release buckles enable proper strap placement above gastroc muscle. Complimentary brace bag is provided by the manufacturer once the warranty card is mailed. Suitable for low to medium impact activities. 1-year limited warranty on frame and hinges. Available in four sizes - please see our sizing chart tab above for important measurement instructions. Colors: Silver, Champagne, Clear Carbon. Medial or lateral compartment unloading for unicompartmental OA or articular cartilage healing. Used for Post-op, rehab and functional support plus unloading for protocols requiring reduced medial or lateral joint loads during recovery. Functional support for patients with varus or valgus alignment. Total support for ACL, MCL, LCL, PCL, rotary and combined instabilities. No or low contact/impact activities. Sizing Chart: Measure the circumference just below the distal border of the patella (kneecap). OA3SR Right Small Caliper: 3.375 - 3.875"
OA3MR Right Medium Caliper: 3.875 - 4.375"
OA3LR Right Large Caliper: 4.375 - 5"
OA3XLR Right XLarge Caliper: 5 - 5.5"
Adjustable Acculign™ hinge bar provides user-controlled varus or valgus unloading for people with medial or lateral compartment osteoarthritis. The dual-hinge design provides functional brace support for ligament instabilities associated with arthritis. Adjustable flexion/extension stops provide range of motion control and hyperextension protection. 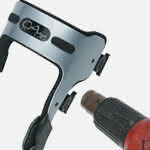 OASys' quick-release buckles ensure easy fitting - no need to adjust straps. Heat moldable frame for a precise fit. I'm in my sixties and plan on being around for another 20+ years. I have OA in my right knee and my doctor was thinking that the knee needed to be replaced. I consulted another doctor who was thinking more homeopathic: cortisone injection(s) plus an unloading knee brace. I liked this approach better because I hate surgery and he said that if the pain was taken away (by the brace and shots) then I might not need the operation. Here we are now a couple months later - I've got the OAsys knee brace and I am playing golf, walking around a lot, and basically up on my feet. I'm glad that this is working for me - and I hope to postpone surgery for as long as I can - hopefully forever. Get one and get your life back in line.